Hello! My name is Kristina Bell, otherwise known as Nina, and I am the creator, writer, manager, and any other -er you can think of for this blog. My little brother Kayden and I before prom a couple of years ago. He doesn’t write for this blog but he is super cute. I am currently a college student, and my aim is to share my study tips, advice, and experience with other college students (and high school students) to help others improve their academic lives. 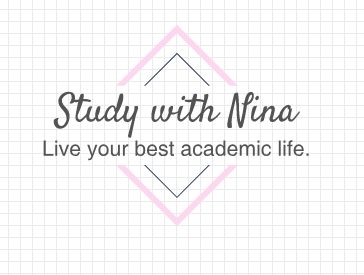 I’ll be sharing study methods, organization techniques, and advice on many different topics to help you have the best experience during your time in school as possible — not only academically, but socially and professionally as well. In addition to posting on this blog, I also upload videos to Youtube, and post on Instagram and Tumblr. You can also follow my personal instagram to keep up with the other aspects of my life, if you would like. I’ll be posting on here and uploading on Youtube once a week, so be sure to stick around for new content! For now, go ahead and browse around my blog and see what you can find. I’m sure you’ll come across something helpful — or at least interesting. If you have questions, comments, or sponsorship/partnership offers, feel free to fill out my contact page above.